The sermon series we’ve started this fall is called “Standing on the Promise.” In this series, we will explore how God’s people have struggled to live faithful lives – just like we struggle to live faithful lives today. And we’ll explore how God’s promises strengthened them to live their lives for God. Today, we look at the story of Abram and Sarai. And that’s pretty ‘mind-blowing’ isn’t it? To think that God told Abram, “Okay, time to pack up, time to leave behind your livelihood, your family, and everything you know.” Would you do that? That would be a big risk, right? I mean, the information that he gets is minimal. Often, we think that these stories are only about Biblical times, right? “Yeah, Abram and Sarai did that, but God spoke directly to Abram and God just doesn’t do that anymore, so I’m good, and God’s not really asking me to make any changes.” But the truth is, God’s purpose that we see in the Bible – to love, save, bless and redeem all of creation – that purpose, that mission, continues through us. So, let’s look at what Abram and Sarai did, and consider how that might help us to participate in God’s mission for our lives. Now, we might say, “Well, easy for them. God just spoke to them.” I’m not sure it happened that way. I’m not sure that God’s voice was that clear. Maybe some people were saying to him, “Abram, do you think maybe God has more in store for you?” Maybe his wife, Sarai, was telling him that. Maybe Abram had this unsettled feeling in his spirit that there was something more for his life. God speaks in a variety of ways. But the point is, Abram was paying attention. Abram’s ears were open to God. Abram’s heart was open to being called in a New Direction. And most importantly, Abram wanted what God wanted for his life, so he listened. I could count on one hand the times I sensed a ‘nudge’ from God, pointing me in a direction, and I said “yes.” And I could count on all my fingers and toes, and I would probably need some of your fingers and toes, the times that I responded, “God, I’m good; I don’t want to make any changes in my life.” And, what sets apart what Abram and Sarai did, was that this was one of those times – one of those, ‘you can count it on one hand times – where they said, “Okay, it’s time for us to take action.” They listened to God, and they chose to take action. 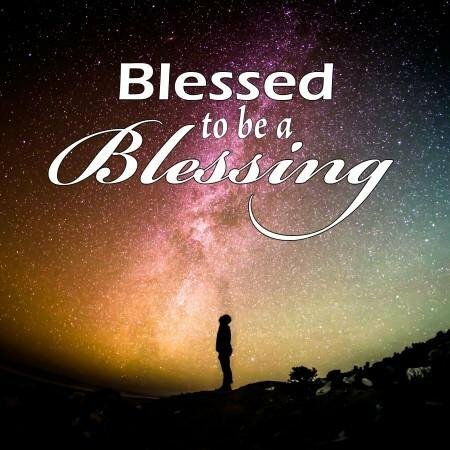 And I believe that this is exactly what God wants for our lives – to be a blessing to others. A while back, the Men in Mission group from our church took a trip to First Nation’s Kitchen in Minneapolis. And we met Beth, the director of First Nation’s Kitchen. She told us how she felt this ‘nudge’ from God, that there was something that needed to be done for the people in her community. And so, she committed herself, to putting on a meal every Sunday night, fifty-two weeks a year, for the needy in that neighborhood. She didn’t know how; she wasn’t sure of the funding; she just heard the call and responded. And it hasn’t been easy – she said, at times, it’s been a real struggle – but God has been there. God has blessed First Nation’s Kitchen with financial donations and volunteers to help. And so, from Abram and Sarai, and from people like Beth, we hear some good news – God calls us, and God involves us in his work. It’s important to listen, and … it’s important to ‘take action,’ It may not be easy, but it’s amazing what God can do when we’re open to his call. This morning, we celebrate “God’s work, our hands.” And we’re focusing on a couple of ways that we can answer God’s call and participate in God’s mission to be a blessing to others. One way, is to participate in supporting the Bethlehem Inn, a temporary shelter for women and children, described in our bulletin insert today. And another way, is to help to assemble school kits for Lutheran World Relief. We’ll be doing that during our breakfast following worship. And it’s not just today, and not just here. The story of Abram and Sarai, and stories like Beth, invite us to listen to the ‘nudging’ of God in our lives, and to ask ourselves each day, wherever we are, “How am I blessed to be a blessing?” There are many needs in our community, and there are many opportunities right here, in this church, to help – to volunteer, to participate in God’s mission, and to be a blessing to others. No one person can do it all. And so, what does God want to do through you? What does your heart say?